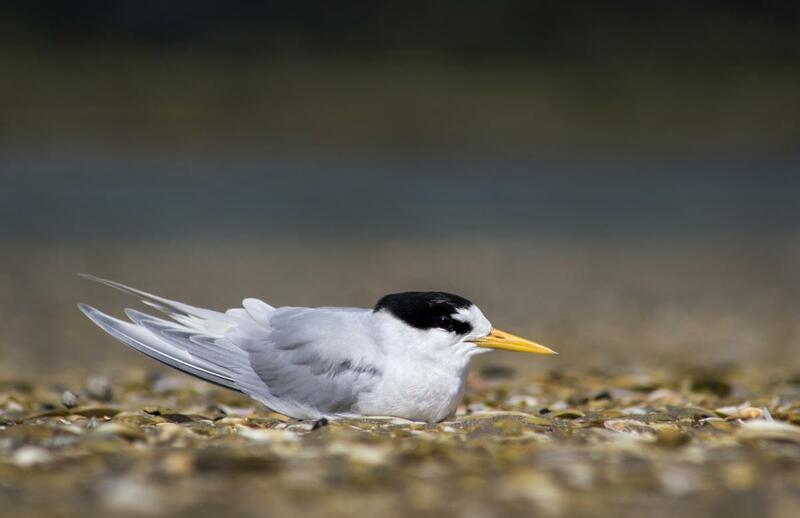 This small, dainty coastal tern is the most endangered of New Zealand’s endemic birds. The relict population of fewer than a dozen pairs survives between Whangarei in the north and Auckland to the south. The tiny population is gravely threatened by introduced predators and disturbance or encroachment by humans. They are intensively managed during the breeding season. 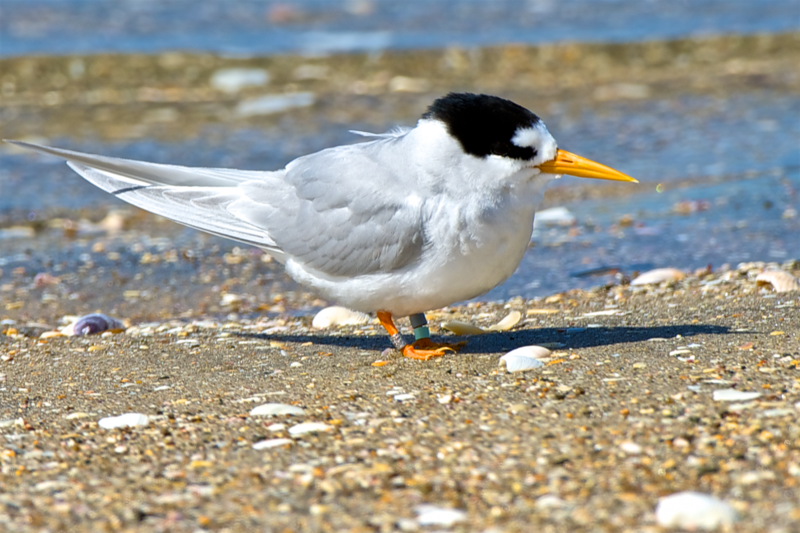 The fairy tern is a small tern with pale grey upperparts and white underparts, with the rump and forked tail also white. The wings have a dark grey outer web on the outer primary. 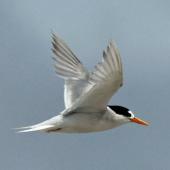 Breeding adults have a completely yellow-orange bill, and a black cap covering the crown and nape. The cap extends forward to surround the eye, forming an irregular patch in front of it, but never reaching the bill. A rounded white ‘notch’ projects into the black cap above the eye, and is contiguous with the white forehead. The legs are bright orange. In late summer, black appears on the base of the bill, nostrils then tip, whilst the black cap recedes, leaving the forecrown mottled. The black feathering forward of the eye reduces in extent, and the legs and bill become duller. Breeding plumage is regained from June onwards. The sexes are alike. Immature birds are similar to non-breeding adults. First winter birds have a pale grey crown and a black band from eye to eye around the back of the head. Their bills are brown-black initially, with yellow-orange emerging before their first summer. The leading edge of the wing is dark, visible in flight and as a ‘carpal bar’ when the wings are folded. The legs are brown. 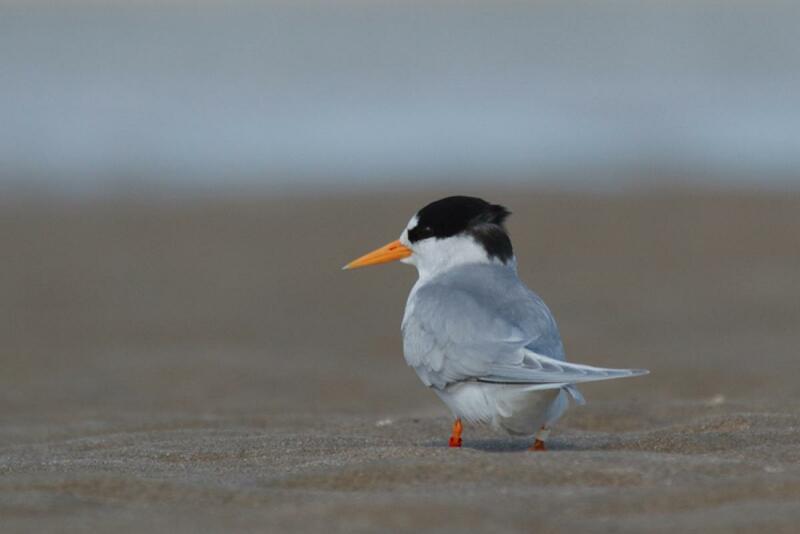 This first winter plumage is easily confused with non-breeding little tern because, in addition to the above, first-year fairy terns have dark webs on several outer primaries, a feature shared with little tern. Voice: high-pitched calls, often repeated, which render as ‘tiet, tiet’ or ‘kek, kek’. 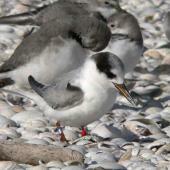 An alarm call, ‘zipt-zipt-zipt’ accompanies dive-bombing and defecation when nests or chicks are threatened. 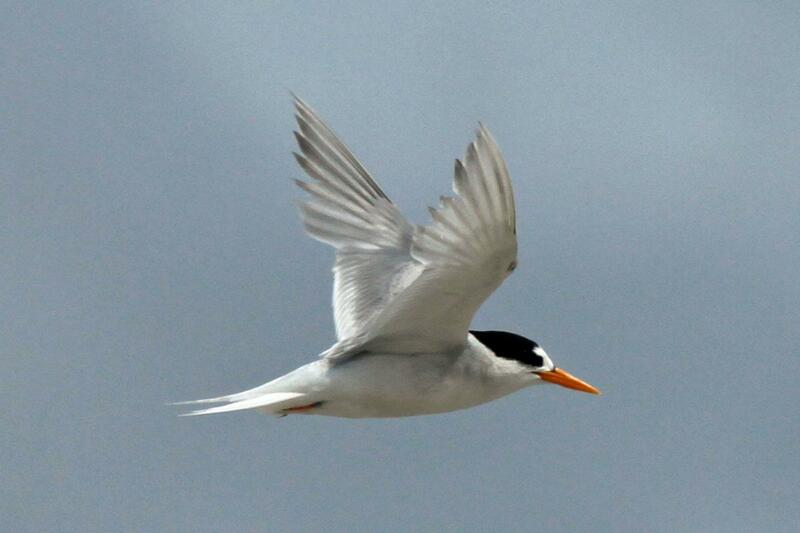 Similar species: the fairy tern is very similar to the migratory little tern. 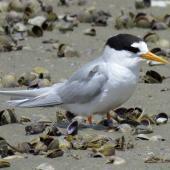 Compared to little terns, fairy terns are stouter, with sturdier, relatively shorter legs and a more conical bill. 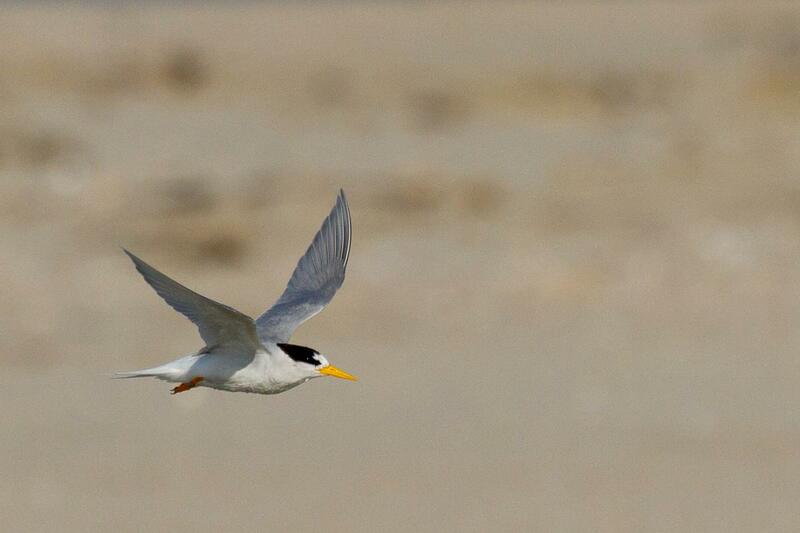 The white ’notch’ above the eye in little tern breeding plumage is acutely angled, not rounded. 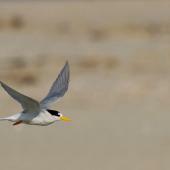 Only in little tern breeding plumage does the black in front of the eye taper to the base of the chrome-yellow, black-tipped bill. 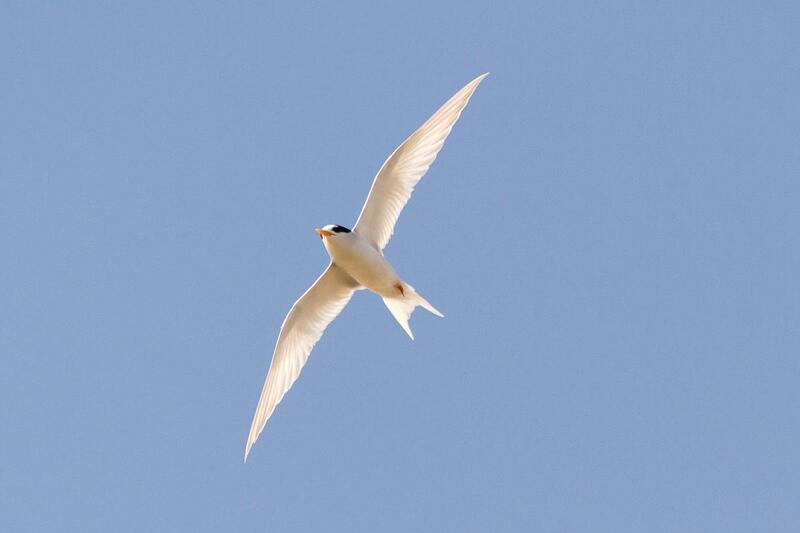 Fairy terns are confined to Australia, New Zealand and New Caledonia, with endemic subspecies in each country. 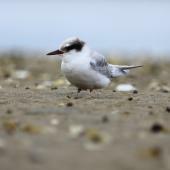 Fairy terns breed successfully at four sites only in New Zealand: Waipu sandspit, Mangawhai sandspit, Pakiri River mouth (one pair since 2003), and Papakanui sandspit on the southern headland of the Kaipara Harbour. 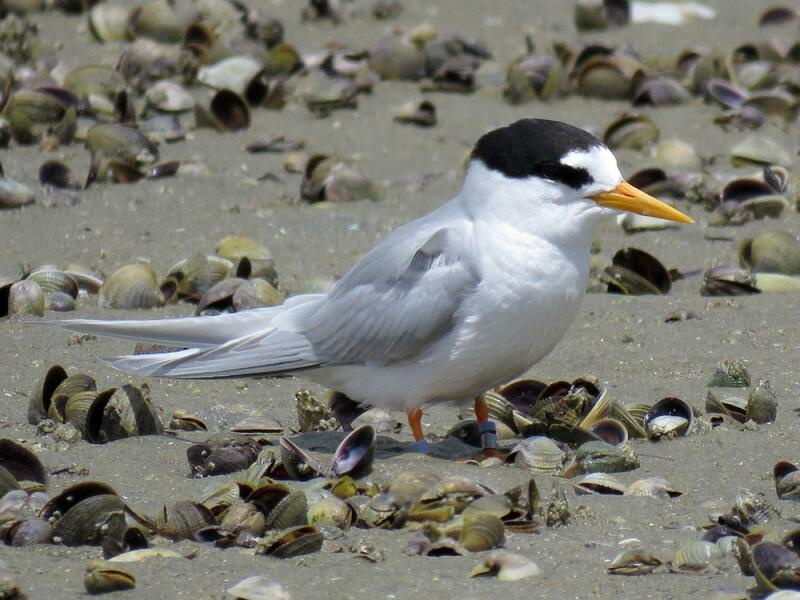 Since 2012, birds have occasionally nested at the Te Arai Stream mouth, just south of Mangawhai. 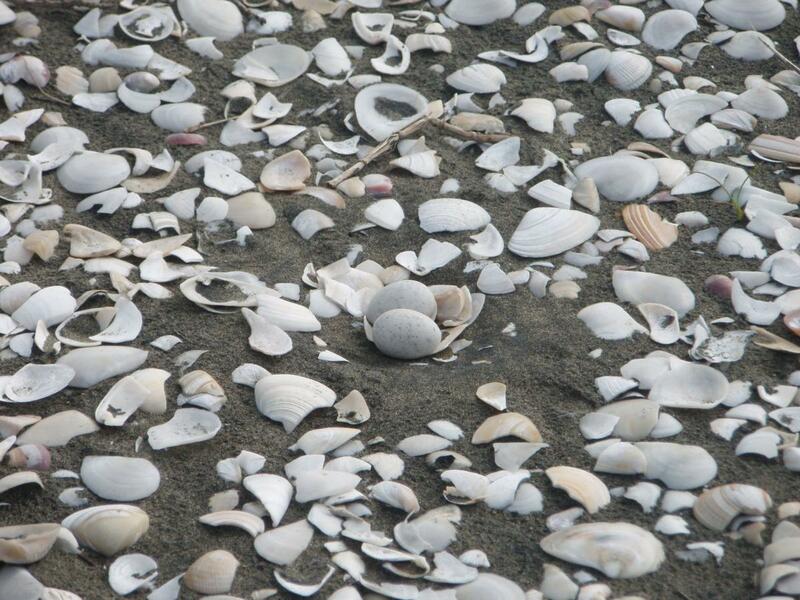 They nest on exposed sand spits, clear of vegetation and large debris, and where shell accumulates above spring high water. Birds forage in adjacent estuaries or a short distance out to sea. Immediately post-breeding, east coast birds are known to forage over Slipper and Spectacle Lakes and regularly roost at Te Arai Stream-mouth, just south of Mangawhai. 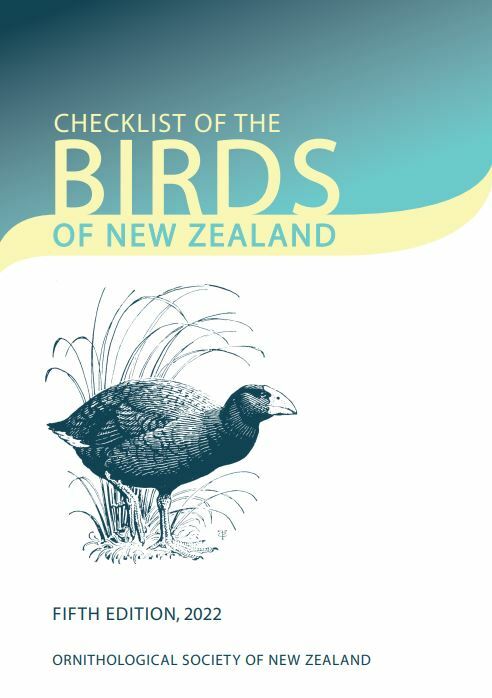 Birds of all ages frequent sheltered estuaries and harbours between Whangarei and Auckland, but mainly the Kaipara Harbour, where autumn and winter flocks can number 20-30 birds. 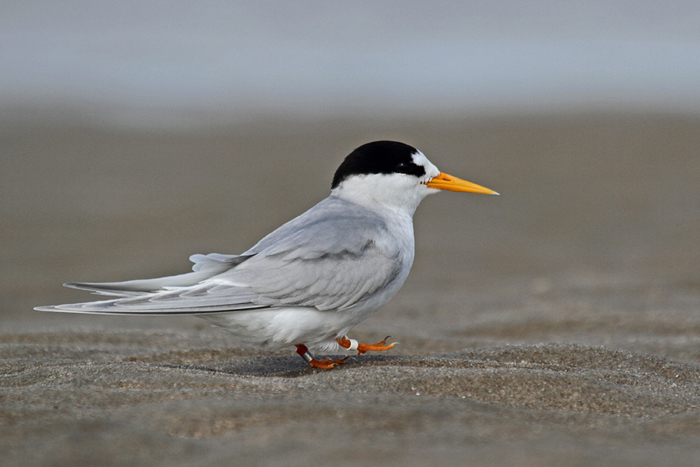 There are currently c.40 fairy terns in New Zealand, with fewer than a dozen breeding pairs. 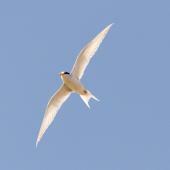 Fairy terns were once widespread around the North Island coast and at river mouths in the South Island. 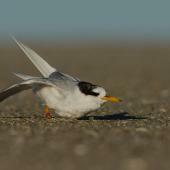 Some historical records are doubtful, as little terns were not recognised in New Zealand until the 1950s. 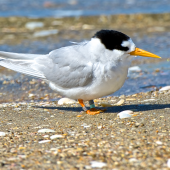 Fairy tern range contracted during the 19th and 20th centuries due to predators, modification of coastal habitats and human disturbance during breeding. These factors continue to threaten the population. Conservation effort at breeding sites concentrates on predator control (including gulls and harriers), cordoning off nests to exclude human and vehicle disturbance, and minimising coastal development impacts. 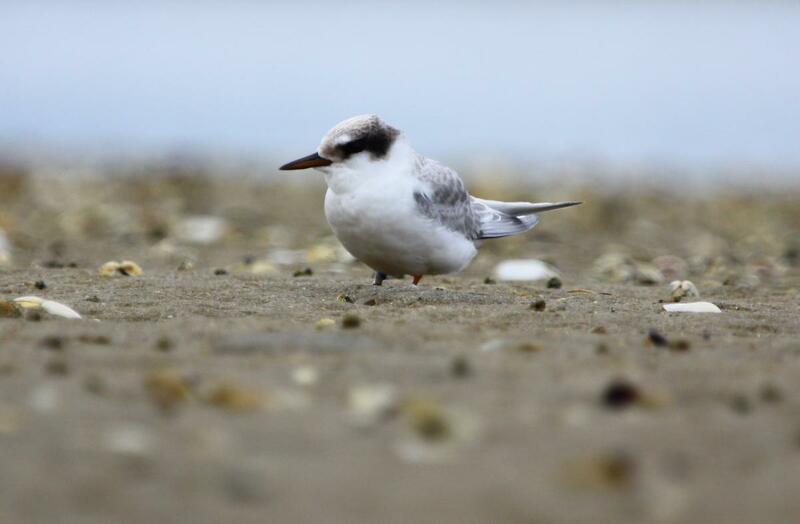 As an example of such impacts, since 2015 some areas of mangroves have been removed from the Mangawhai Harbour and the size of the first clutches of most mature breeding females at that breeding site has reduced. Breeding success is also frequently affected by environmental factors. 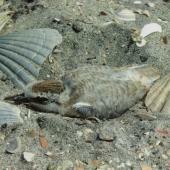 High tides, especially if backed by onshore wind, can inundate nests. 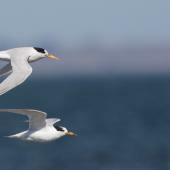 Adverse weather can diminish foraging ability, causing desertion of eggs or death of chicks. 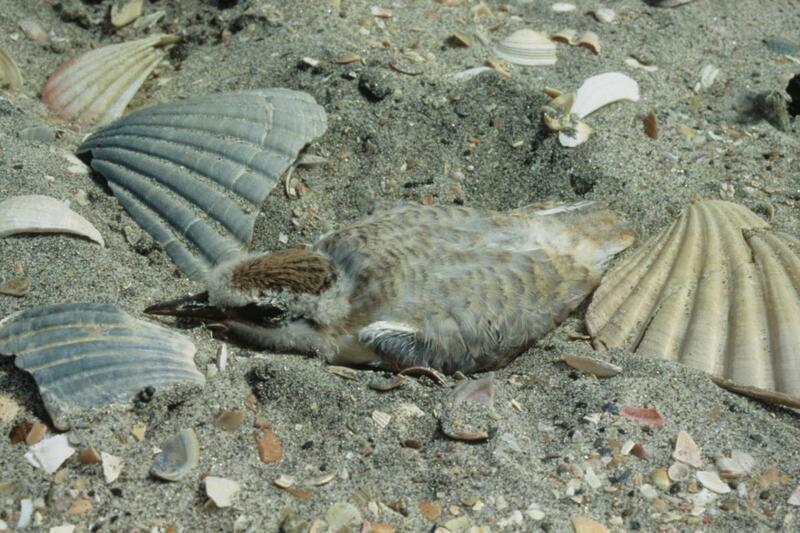 Mobile sand can cover nests. 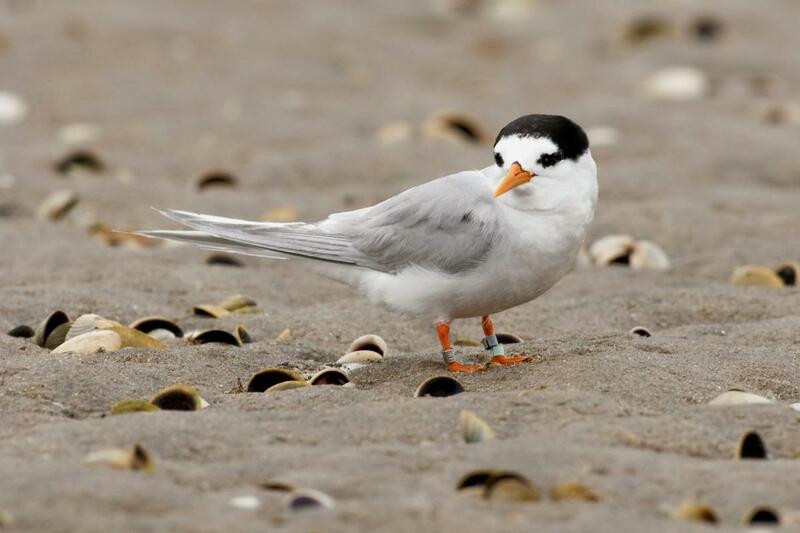 When necessary, nests are intensively managed by gradual repositioning, by elevation or by sandbagging, to protect them from rapid sand movement, spring tides or storm surges. Pro-active enhancement of nest sites by removing vegetation and/or adding appropriately coloured shell, is increasingly undertaken prior to the breeding season, to encourage nesting in the safest possible locations. 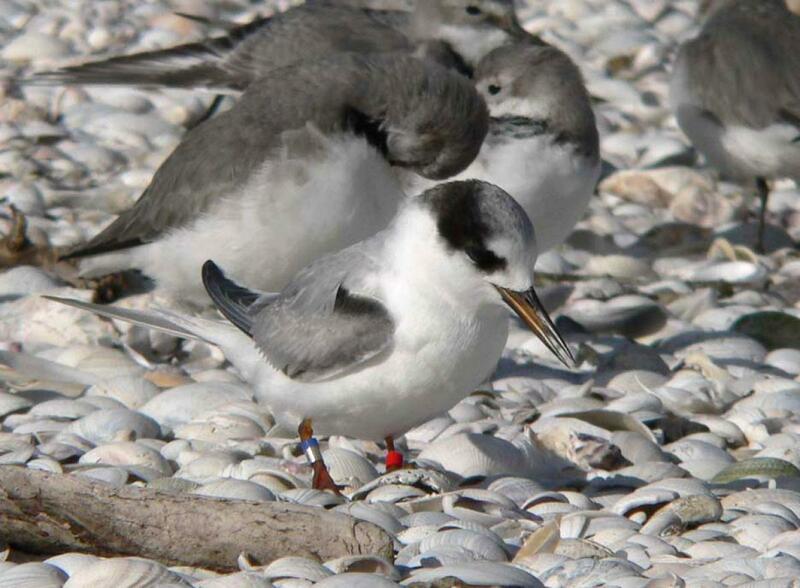 A project is underway to restore an historical nesting site within the Kaipara Harbour using these techniques, as well as recorded calls and decoy models. 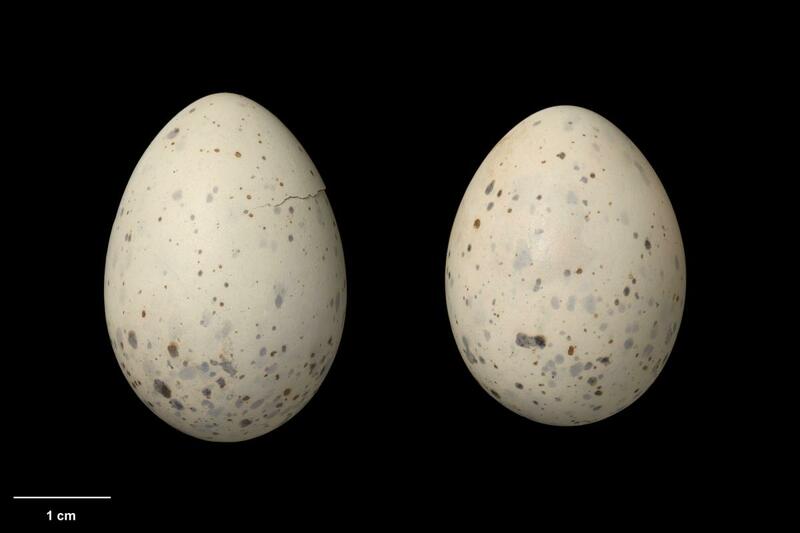 Some eggs are cross-fostered between pairs (via artificial incubation at Auckland Zoo) as an intervention for vulnerable nests. 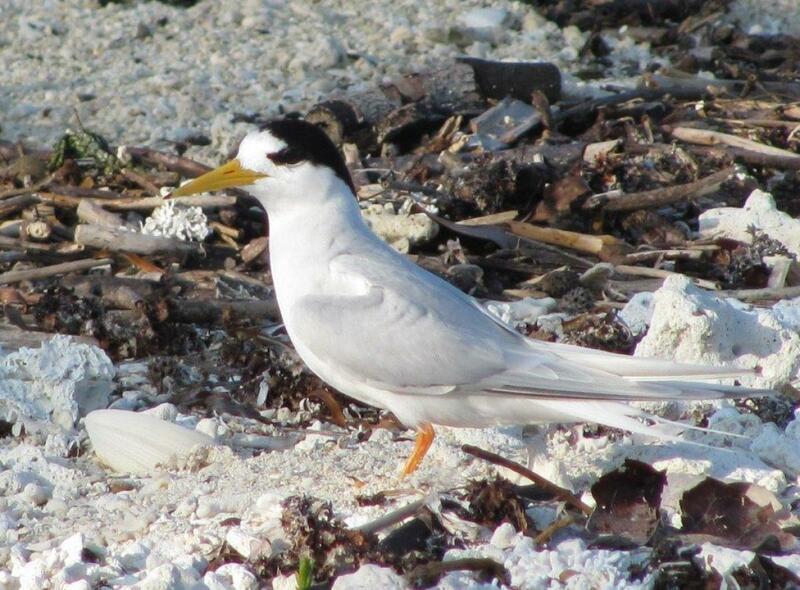 Public awareness and education is ongoing, especially in communities adjacent to fairy tern nesting areas. All breeding sites are increasingly popular recreational destinations, with recreational activities (e.g. kite-surfing) reducing the area of undisturbed coastal waters available for fairy tern foraging. Pre-fledged chicks are individually colour banded to facilitate monitoring and management. Supplementary feeding assisted with the full fledging of two chicks in 2014, following the loss of their male parent just before fledging. The level of genetic variation within the population is currently being investigated. 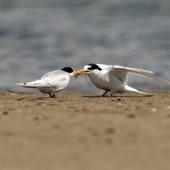 Fairy terns have a high degree of fidelity to mates, nest sites and foraging areas. 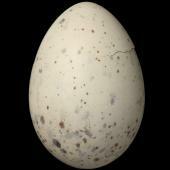 Courtship begins in September, and egg-laying occurs from late October until early January. Females will relay if clutches or young chicks are lost early in the season. The female is supplementary-fed by the male before laying. 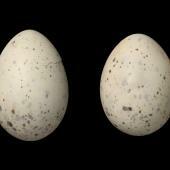 The 1-2 well-camouflaged eggs are placed in an unlined scrape well away from vegetation or flotsam. 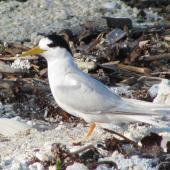 Nest sites are in areas with predominantly white, grey and orange shells on sand, thereby aiding concealment of eggs, chicks and incubating adults. 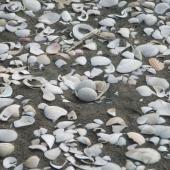 Nests are often at least 1 km apart, in areas with predominantly white, grey and orange shells on sand, thereby aiding concealment of eggs, chicks and incubating adults. 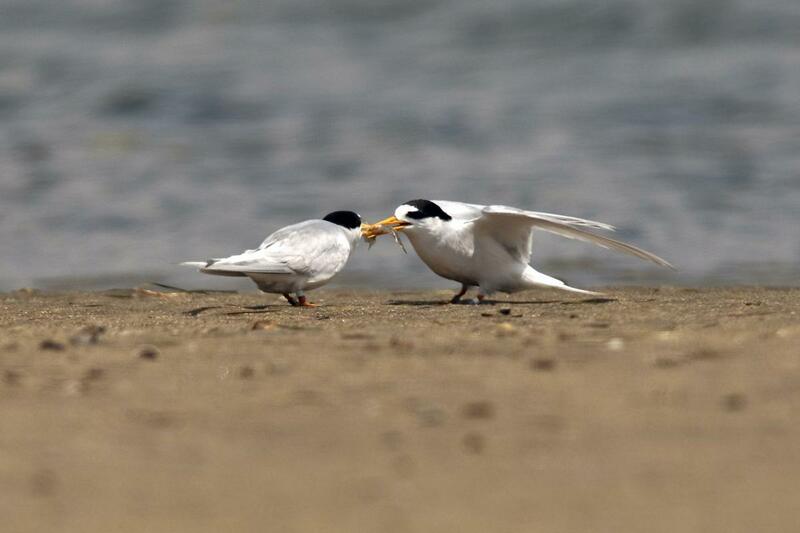 Intraspecific aggression reduces fledging success when pairs nest in close proximity (e.g. 10 m apart). 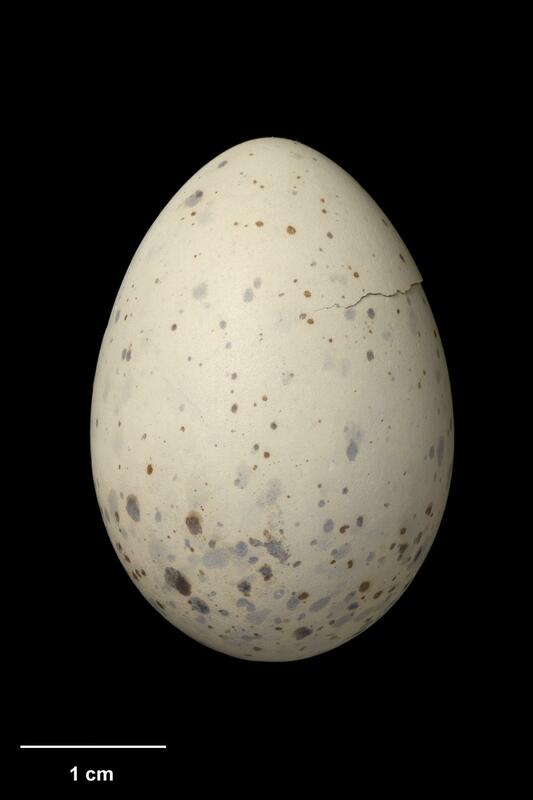 Females tend to take longer incubation shifts than males. The chicks are mobile from day one and seek shelter from the elements. 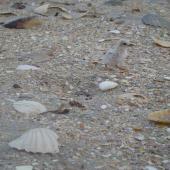 Whenf parents utter alarm calls, chicks freeze in situ, blending into the beach. Both parents guard and feed the young, with the male providing the most food. Chicks fully fledge at about 30 days, and are fed with reducing frequency by their parents for another month while they learn to forage for themselves. By this time, most family groups have vacated their breeding estuaries. 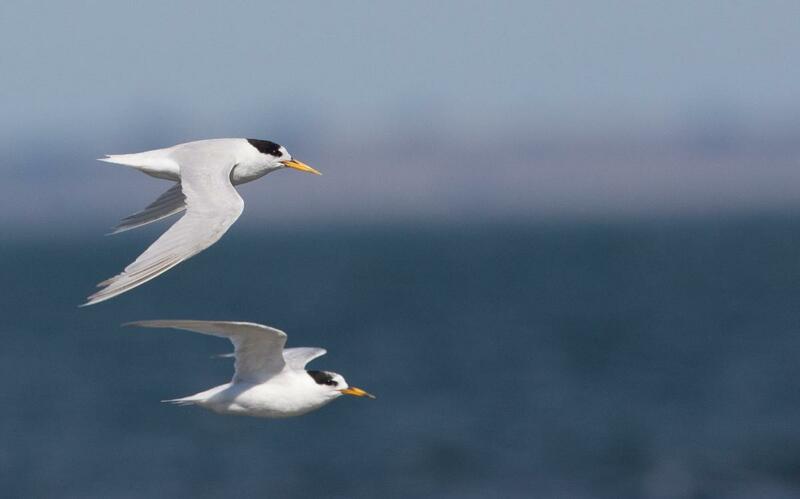 Fairy terns forage by hovering 5-15 m above the water surface, before diving for prey, but not totally immersing their body. In estuaries, they usually search against the current. 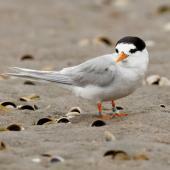 Fairy terns’ high tide roost sites are open areas of mud, sand, shell or sparsely vegetated salt marsh, which are also used by other roosting shorebirds. Tidal heights determine site usage. Roosts are abandoned or adopted in response to natural or human-induced changes, including vegetation encroachment and disturbance. 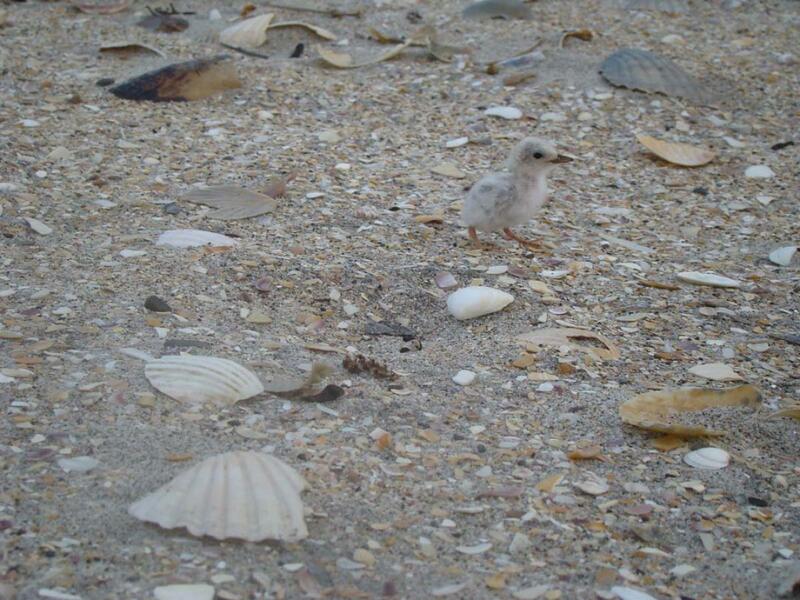 Fairy terns catch juvenile flounder, gobies, elvers and other small coastal or estuarine fish and shrimps. A regurgitated pellet retrieved at a Kaipara roost contained juvenile kahawai ear bones (Tom Trnski pers. comm.). Higgins, P.J. ; Davies, S.J.J.F. (eds) 1996. Handbook of Australian, New Zealand, and Antarctic birds. Vol. 3, snipe to pigeons. Oxford University Press, Melbourne. Jeffries, D.S. ; Bull, L.S. ; Lagnaz, E.G. ; Pulham, G.A. ; Wilson, D.S. ; Wilson, P.; Zimmerman, R.L. 2016. 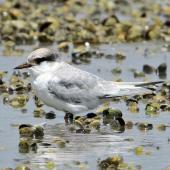 New Zealand fairy tern (Sternula nereis davisae) foraging behaviour at Te Arai Stream. Notornis 63: 42-45. McKenzie, H.R. ; Sibson, R.B. 1957. 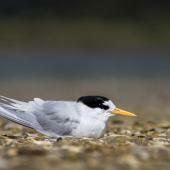 Does the little tern (Sterna albifrons) reach New Zealand? Notornis 7:174-182. Preddey, J.M. 2008. 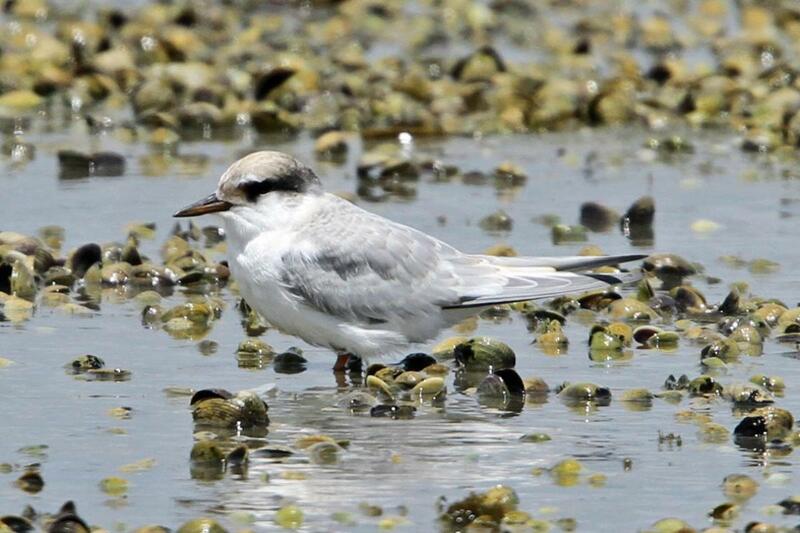 Post-fledgling care of a juvenile New Zealandfairy tern (Sterna nereis davisae). Notornis 55: 159-161. Preddey, J.M. ; Pulham, G.A. 2017. 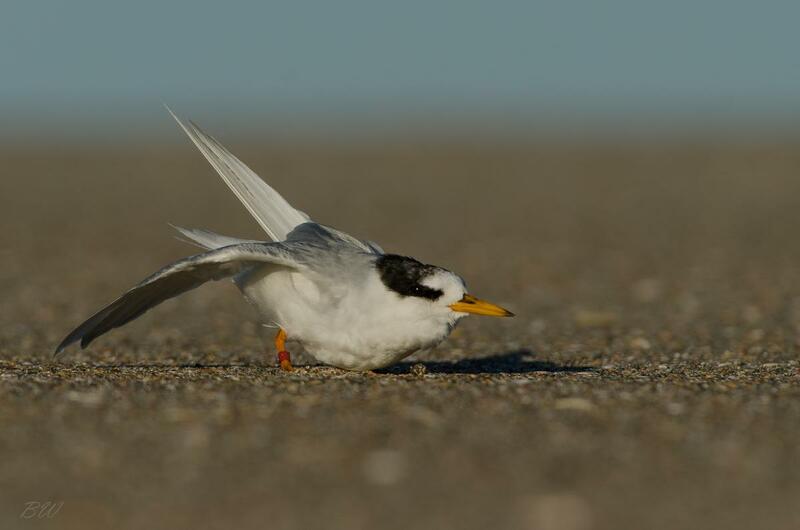 Observations of New Zealand fairy tern (Sternula nereis davisae) foraging at Te Arai dune lakes, New Zealand. Notornis 64: 87-92. Shallow scrape in sand-shell substrate. 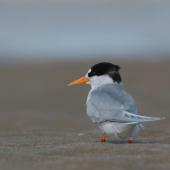 A small tern with pale grey upperparts, white underparts, a yellow-orange bill, and bright orange legs. A black cap covers the crown and nape extending forward to surround the eye, forming an irregular patch in front of it, but never reaching the bill; a rounded white ‘notch’ projects into the black cap above the eye and connects with the white forehead.